Don’t miss this 4 BDRM BEAUTY! Fresh Colors, one yr old ”slate” kitchen appliances and newer living room flooring. Popular and functional Pulte Floorplan. Owners have installed new lighting and laminate flooring downstairs (2 years old). Kitchen has large pantry, Corian Counters and stunning backsplash.New(er) vanity in downstairs 1/2 bath.The Master IS KINGSIZED with large walk in closet, dual sinks and separate tub & shower. 3 more good sized guest rooms and full bath upstairs. Covered patio in backyard and new sod was installed. NO rear neighbors and sweet seating area in corner of yard. Ventana Ranch neighborhood offers walking trails and parks. Home is located in Volcano Vista High School District. Make appt to see today! Please, send me more information on this property: MLS# 942148 – $232,000 – 10216 Mogollon Drive Nw, Albuquerque, NM 87114. 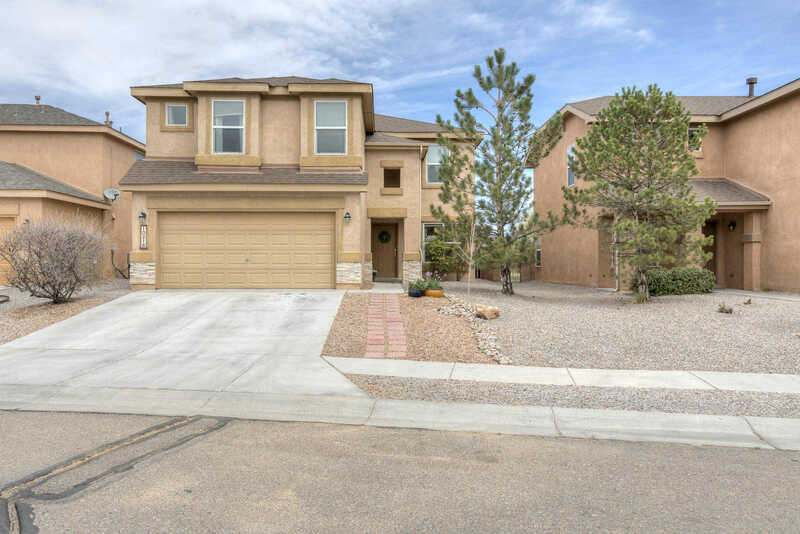 I would like to schedule a showing appointment for this property: MLS# 942148 – $232,000 – 10216 Mogollon Drive Nw, Albuquerque, NM 87114.